This year's Milan International Motorcycle Show is definitely featuring a healthy assortment of battery-powered two wheeled machines, and now Evolve Motorcycles has two more plug-in designs to add to the list. First up is its Xenon, aka the Tron Lightcycle replica, which is a real bike that you can purchase with 32-inch hubless rims and OLED light tape -- all for $50,000. It's even claiming a top speed of 100mph with a 100 mile range on its custom lithium ion battery system, so all you have left to do is regret not grabbing one for $35k on eBay last year. 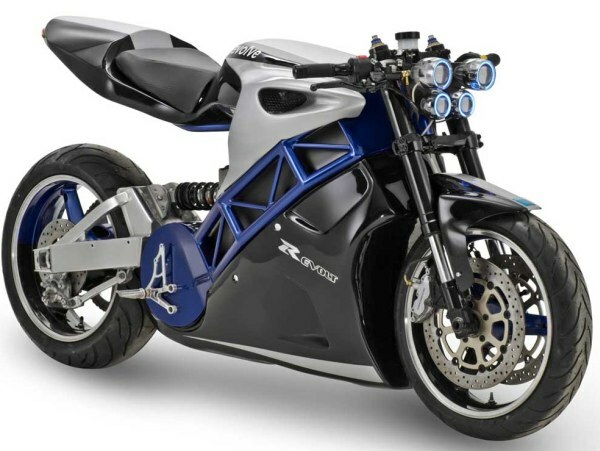 The Lithium chooses to keep things more conventional as a streetfighter concept built around a 54hp electric motor that is expected to cost around $20,000 when it actually goes on sale. Check after the break for a pic of the Lithium, or head over to our friends at Autoblog Green for a gallery full of eyecandy featuring both bikes.